The Wizard Of Oz Logo. logo for the wizard of oz. Wallpaper and background images in the Le Magicien d’Oz club tagged: logo wizard of oz film image fan art. I like the ruby red slippers as high heels! Very cool! 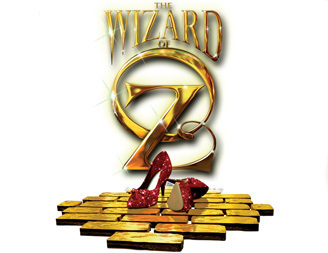 I am directing OZ for a middle school play in MA...what would take to get permission to use this for their T-shirts??? Hi Berni, Just wondering if its possible to purchase the rights to using this logo??? ?